When we started EcoLit Books five years ago, this was the type of book I had in mind. A novel that places nature in its proper place in relation to people. That is, above us — in this case, both figuratively and literally. 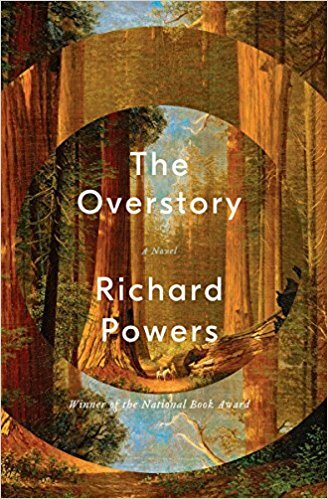 In The Overstory, Richard Powers has crafted an epic novel that stretches hundreds of years, culminating in a series of life-and-death environmental battles. But even more so, this is a novel about rediscovering the largest and oldest living creatures on our planet. So many of the characters are alien to the trees they share the planet with until various events open their eyes. And they look. 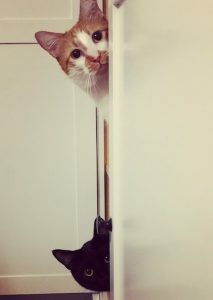 They smell. They see and feel the loss. And they act up. The book could be used to teach a course on trees. And it should be used for just that purpose. 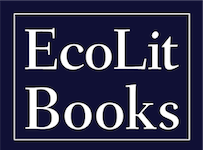 I have books about trees — mostly identification. But identifying a tree is only step one. How does a tree relate to the creatures around it? How does it respond to insect attacks? How does it care for its siblings? And other species of trees? For example, the Douglas Fir, which we live among here in Southern Oregon, are called “giving trees” because the dying trees will send out nutrients to the Ponderosa Pines. Powers does an outstanding job of providing insights into beings we have only just begun to understand. But there are oversights in the novel in regards to activism. While the novel addresses environmental activism in Oregon and elsewhere, the players are too often seen eating meat without any awareness of the irony of defending one living entity while eating another. I know that many of those activists who have served actual time behind bars for similar crimes are vegan. They don’t differentiate between protecting trees and protecting non-human animals. And it must be noted that millions upon millions of acres of forests have been cleared for the sole purpose of raising cows and sheep for human consumption. In many ways I feel that this novel begins where Barkskins by Annie Proulx ends. And I highly recommend reading them in chronological order. And I’m not just talking about time but about awareness — our collective awareness that the planet is not some all-you-can-eat buffet, that the planet is, like us, finite and fragile. If you are not a “tree hugger” before reading these two books, you will be afterwards. And I think what I like most about this book are the voices he gives those who have no (human) voice. Such as: All the ways you imagine us–bewitched mangroves up on stilts, a nutmeg’s inverted spade, gnarled baja elephant trunks, the straight-up missile of a sal–are always amputations. Your kind never sees us whole. You miss the half of it, and more. There’s always as much belowground as above. Like the trees Powers writes so beautifully about, this book towers above us and nurtures us. And, I certainly do hope, it motivates us to do more. And quickly.